I’ve been prepping for the Unity Certification that I’ll be taking at Unite LA next week. For preparation I decided to work through the Unity Courseware. I received 30-day access to it for “free” when I subscribed to Unity Plus so it was a double win! I figured that I should review it as well so that others know what they’re getting for their money. Please note that I’m sure they’ll be making improvements in the future, so this review may/may not be valid in a few months. You have multiple options to rent the courseware. The cheapest is $150 for 3-months access, but I’d argue that it makes better sense to get Unity Plus (which gives you 30-day access to the courseware). Unity Plus is $35/month so overall a yearly subscription is more expensive than a 3-month access pass to the courseware, but you get much more value. I don’t think most people will need 3 months’ worth of access to the courseware. There’s about 20 hours of video and while working around 30 hours per week I was still able to easily get it in within 30 days. If you’re experienced with Unity (maybe about 1 year or so of experience) then this courseware will be a complete bore to you. However, it may still be worth it for piece of mind and the end-of-chapter assessment quizzes. I went through the majority of the videos at 1.5x speed because so much of the stuff is beginner-level. Lots of repeated phrases like “right-click in the project view, select UI, then Button to create a button”. I understand this may have value to those who’ve never used Unity before, but to those of us who have a modest familiarity with the Editor it is painful to listen to. The list of topics /chapters can be found at Unity’s Certification site, so I won’t rehash that here. I don’t have the opportunity to do a lot of 3D games so I did learn a couple of things. They take you through usage of NavMesh and NavMesh agents for simple pathfinding, which was nice. They also take you through lighting and the features of baking lighting and reflection probes. I found the baking lighting pretty helpful, but the videos glazed over some points that created issues with the lighting. One issue was that directional lights with cookies can’t be baked. Another was the process for adding a projector, which just didn’t seem to work well in any case. Beyond those two areas, unfortunately I didn’t pick up much else, but I have been using Unity for quite some time now, so I would hope that I’m pretty familiar with things. The end of chapter assessments were likely the most useful part for me. These give me an idea of how questions will be asked on the exam and what type of questions. The certification syllabus (topics that can be asked on the exam) is quite vague and many of those topics have great depth. So it was relieving to see that the assessment questions were really quite entry-level and not deep like “what is the mathematical formula for a projector shader” or some awful mean question like that. 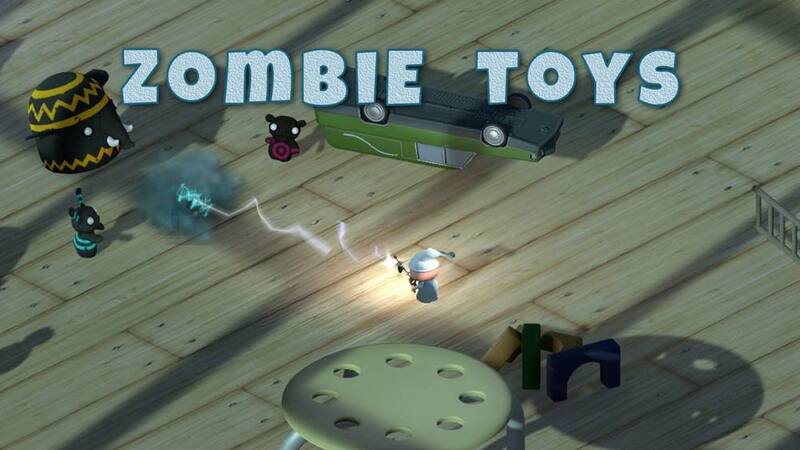 One thing that was really fun was the Zombie Toys project that you develop through the course. They cover the vast majority of making the application and you should be able to connect the rest of it up by yourself. They do skip over a few features of the game, so you might want to dig through the assets and some scripts to see what you didn’t hook up by the end of the course. If you’d like to check it out, I’ve uploaded a WebGL build and a Windows build here: http://www.naplandgames.com/zombietoys/. The Windows build is much better than WebGL. In WebGL the lighting is all messed up despite my fight to get it to be really good. I’m working with a fairly old version of Unity, so I hope a lot of the lighting issues are rectified in new versions. The game is cute and fun and definitely helps with the learning experience to have something to show at the end. The courseware site does have some technical issues, but nothing major. Login flow is bad, some assessments sometimes don’t work, videos can’t go fullscreen. Like I said, nothing major, but I would expect greater perfection from Unity (well, I would, but after what they did to the community forums a couple months ago, I’m not sure their web dev team is all that awesome – sorry guys/gals!). Overall it was a good experience. Hopefully I’ll pass the exam next week with flying colors like I did the self assessments. The only topic I had some issues with was shaders and I’m blaming that on the way they worded the questions! So “is it worth it”? Of course, that decision is a personal choice, but I’d say: If you’re experienced with Unity, if you can look through the list of chapters covered in the courseware and say “I know how to do the basics of that”, then it might be a waste of time. 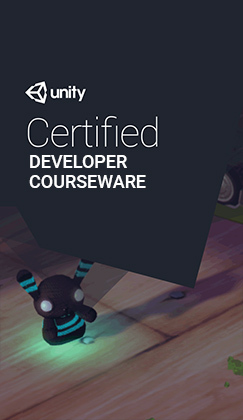 I can certainly prep a student who is familiar with the Unity editor in half of the time (or less) than this course does. So, if you’re looking for targeted prep for certification, contact me. My rates for one-on-one tutoring are reasonable and I can get you prepped in a lot less time, especially if you know the basics of the Editor. Wish me luck next week! I hope to see some of you at the Unite LA Conference. Check out the follow up article for that answer http://naplandgames.com/blog/2016/11/13/my-unite-la-2016-experience/. In short, it was quite easy for me, but not easy for everyone. I’m hoping some of the other certifications are a bit more challenging!